The clear glass windows of our greenhouse dome protect the plants from the elements, much as they would in a garden or allotment. Here, though, the elements aren’t wind or rain, but outer space. Those windows look straight out onto the huge vacuum, taking in nearby suns and planets we might plunder for resources. But our station is still under construction. Tabbing into build mode, we plug in a shiny new hangar. Sure enough, back in first-person mode, it’s suddenly visible through the glass. Stepping down a new corridor, we find the lander housed inside, set course for a nearby rock rich in iron, and initiate the take-off procedure. This is Genesis Alpha One’s pitch – seamless stewardship of an ever-expanding space base, switching between having your boots on the ground and getting a wider perspective in the management view. It’s been a tricky technical proposal for a small dev to wrestle with, but it’s been possible in Unreal Engine 4. Ship building was the very first piece of the game German studio Radiation Blue prototyped, knowing that its success or failure would make or break the game. Using the International Space Station as a model, the studio decided that players should build their ships by attaching individual modules together. 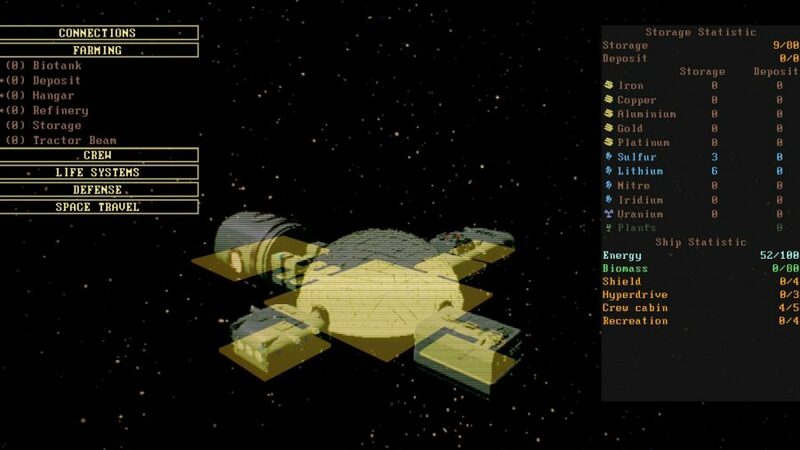 Early on in development, with just a few modules prototyped, the team was able to create huge ships by snapping multiple versions of the same rooms together. 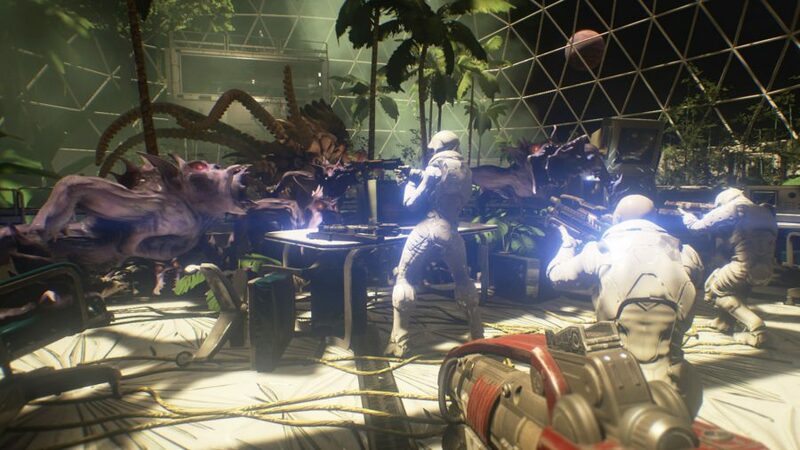 During travel, ships in Genesis Alpha One are often subject to attacks from insectoid enemies – leading to cat-and-mouse encounters in the corridors inspired by Alien. For these segments to deliver on tension, however, the aliens needed to be able to properly navigate levels that players had built themselves. Despite the help from the studio’s publisher, ship building proved to be the single biggest technical challenge Radiation Blue faced demanding dynamic AI navigation, lighting, and a powerful custom UI for construction. Whatever appeared in building mode also had to work in first-person. In a game of many interlocking parts, Radiation Blue had to learn where to draw the line. Manual flying was out, since players would have enough to do onboard. Instead, the gentle passing of stars outside the windows would suggest motion, and players could travel further by selecting to hyper jump from one system to the next. Planetary landings, meanwhile, were restricted to the landing zone directly around the drop ship. “As the main goal of the game is to find a suitable planet, it made sense that the other planets have hazardous conditions which can only be explored within the distance of the drop ship’s power shield,” Jankuhn says. If you’re sceptical about Radiation Blue’s ability to pull together base-building, first-person shooting, and crew management, well, the team is used to it. “It was really rewarding to watch the same jetlagged journalist at an event, who didn’t seem too interested in the game, light up when they began to play and shout with excitement about what unfolded,” Jankuhn says. “It happens to us once in a while that, when we play the game together, we say, ‘Oh, I totally forgot we implemented that!’. 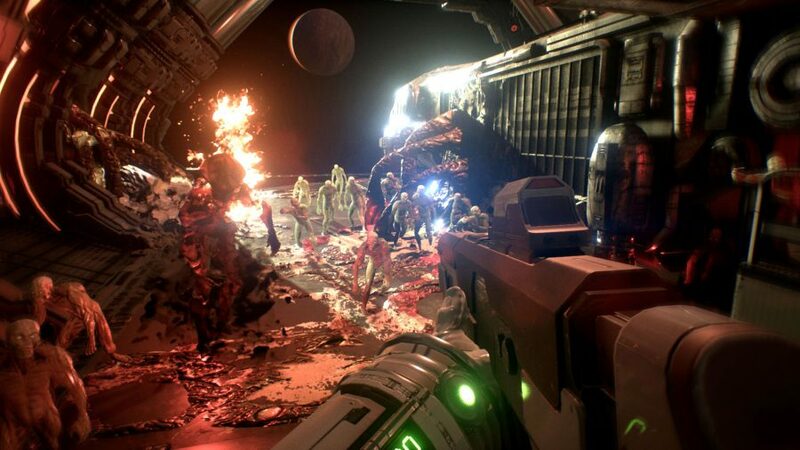 Genesis Alpha One comes to the PC tomorrow, January 29. Unreal Engine 4 development is now free. In this sponsored series, we’re looking at how game developers are taking advantage of Unreal Engine 4 to create a new generation of PC games. With thanks to Epic Games, Radiation Blue, and Team17.